The Black & Decker Professional Power Station combines a portable household power supply with a jump starter and 120 PSI compressor. The 500 watts power inverter with two electrical household outlets, 12 volts outlet and a USB port provides power for a small TV to watch the pre-game show and electric grill to cook breakfast while camping. Head to the beach and power a radio for up to 10 hours. Charge cell phones, MP3 players and laptops from just about anywhere. The Black & Decker Professional Power Station comes as a 450 amperes instant jump starter. The Black & Decker Professional Power Station includes powerful 120 PSI compressor to quickly inflate vehicle tires. Due its portability, it goes anywhere to inflate bike tires, sports ball, air rafts and more. If power fails at home, the Black & Decker Professional Power Station powers lights, small TV, radio and more. There are no fumes as with gas-powered generators. Energizer ENX8K (Pink) 7500mAh UL listed lithium jump starter and 2.4A power bank. The ENX8K includes smart cables, these smart cables are critical for the safety of the jump starter and your car battery, the protections include; Reverse charge protection, reverse polarity protection, low voltage protection, over current protection, over temperature protection and short circuit protection! 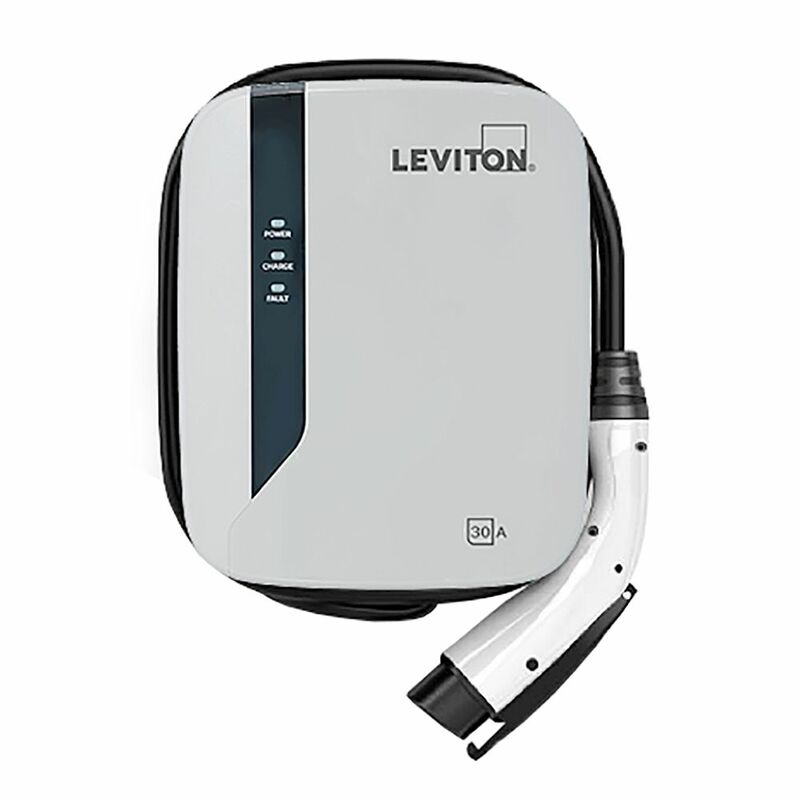 Electric Vehicle Charging Stations from Leviton enable fast-charging of any SAE J1772 Compatible Electric Vehicle. The intuitive user interface and automatic features make the charging process extremely simple. Built-in communication verifies proper connection before charging can commence. Compatible with all EVSE Standards and Recommended Practices, including SAE J1772, NEC 625, UL2231 and UL 2594. Evr-Green e30 Electric Vehicle Charging Station The Evr-Green e30 & e40 Electric Vehicle Charging Stations enable fast charging of any SAE 1772 compatible electric vehicle. These new EV chargers offer a more compact, affordable, easy to use and easy to install solution to electric vehicle charging. Evr-Green e30 Electric Vehicle Charging Station is rated 5.0 out of 5 by 1. Can this charging station be installed outdoors? Yes, the Evr-Green e30 Electric Vehicle Charging Station (Home Depot article # 1001068455) has a water-resistant enclosure which is rated NEMA Type 3R for indoor and outdoor use.